I got hooked on writing when I did a two year course on Creative Writing at Sussex University. I’ve had quite a number of short stories published and have an MA in Creative Writing and Authorship from Sussex University. The Eloquence of Desire was my first novel and was published in 2010. This was a romance and won an award from the Royal Literary Fund. It has been translated into Turkish. 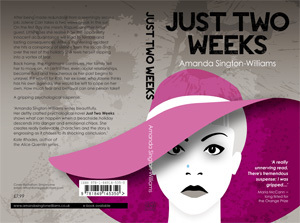 My latest novel Just Two Weeks is a psychological thriller set in Sri Lanka and The Lakes in northern UK. This won the IPR Agents Pick. I love cats and singing and am an Alto. 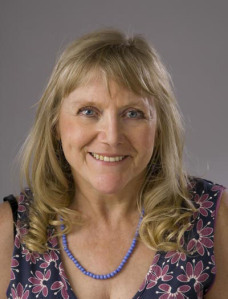 I sing in Dawn Chorus in Brighton where I live with my husband. I mentor new novel writers. Nice meeting you in the blogosphere. You have got a very nice blog up here. Keep writing and keep inspiring, my friend. Thanks for taking the time to stop by. Great blog here! My pleasure. I wondered whether you might like me to do a guest blog on your blog. Sounds great! Just let me know when and what? 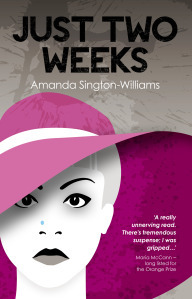 Hi I could write a post about my newly published suspense ‘Just Two Weeks’ on 19th November or thereabouts. How does that sound? Sounds great! I’ll send you a contributor request. I wondered about the post I am going to write for your site – and thanks very much for inviting me, but where do I write it? Is it on your submissions page? I think you should be able to login as a contributor to the site or just email the submission to me. Yes, thank you. You should have an email reply. I thought I’d check in to some blogs now that I’ve got my latest book out there and I need to ‘come down’ for a couple of days. I’ve been ‘living’ in the US for about four months – at least in my head. Thank you for following me…I have returned the favor. If you are interested in a author interview I am posting on my blog throughout 2015. Just drop me a line & your email address. Thanks very much. That would be great. If you email me the questions I’ll get them back to you – it may take me a little while as I am going on holiday on Tuesday but will definitely get them done. Hi, no hurry interviews will be going on all year! Thanks for the nice comment. Happy to have connected with you.